New Delhi Sep 15 (IANS) Finance Minister Arun Jaitley on Saturday said Swachh Bharat Abhiyan (SBM) has become a "people s movement" with a large participation of women noting that the decision to hike compensation will benefit around 25 lakh Anganwadi workers and their families. 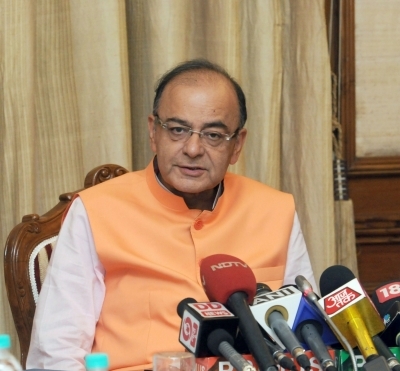 "We all knew that the dignity of women demanded privacy of toilet " Jaitley said in a blog. He said in several parts of India toilets have been named Izzat Ghar . Referring to the target of making India free from open defecation by 2019 -- the 150th year of Mahatma Gandhi s birth anniversary -- the Finance Minister pointed to the preventive health care benefits of the scheme. "Global experts believe the SBM will have saved over three lakh lives in the country by the time we become open-defecation-free in 2019 " he said. Referring to government s decision to enhance the compensation paid to the Anganwadi workers and the Asha workers he said the Anganwadi workers are the mainstay of the National Nutrition Mission. He said the remuneration of Anganwadi workers has been raised from Rs 3 000 to Rs 4 500 per month and that of mini Anganwadi workers from Rs 2 250 has been increased to Rs 3 500. Remuneration of Anganwadi helpers has been increased from Rs 1 500 to Rs 2 250 per month. These workers will also get an incentive of Rs 500 per month and Rs 250 per month respectively on the basis of the real-time monitoring of performance he said.